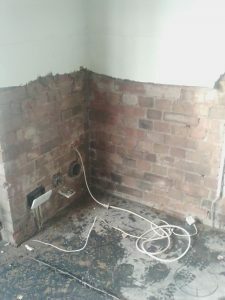 Kenwood Plc offer the full package for installation of a new damp proof course including, removal of wall plaster, injection of the new chemical damp proof course, and the replastering of the treated walls. For many of our customers this ‘one stop shop’ is perfect as there is no need to search for additional tradesmen. 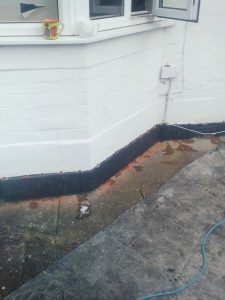 Some customers however find they need a damp proof course as they already have builders working within their property and do not require the full scope of our services. Kenwood plc work alongside builders and contractors on many of our projects, the latest of which has just been completed in North West London. The wall plaster was removed prior to our arrival and Kenwood have installed the new chemical Damp Proof Course. The contractors are now replastering throughout the home and the damp proof course is covered by our Twenty Year written Guarantee.